Originating with Francis Galton's Hereditary Genius (1869), the idea that natural ability and talent were inherited biologically and rarely found in a general population took center stage during the late 19th century. It wasn't until 1905 that IQ, or Intelligence Quotient, began to be tested using the Stanford-Binet test Scale. Those scoring below the average IQ were regarded as 'mentally retarded' and following the rise of eugenics, often sterilized to prevent the risk of giving birth to mentally challenged children who posed a nuisance to children seen as genetically gifted. However, it wouldn't be till the 1950's that the discovery of DNA paved the way for looking biochemically for the causes of genius. Eugenics by this time had lost considerable popularity due to public outcry and the fact it was used by the Nazi's during World War II. Fig. 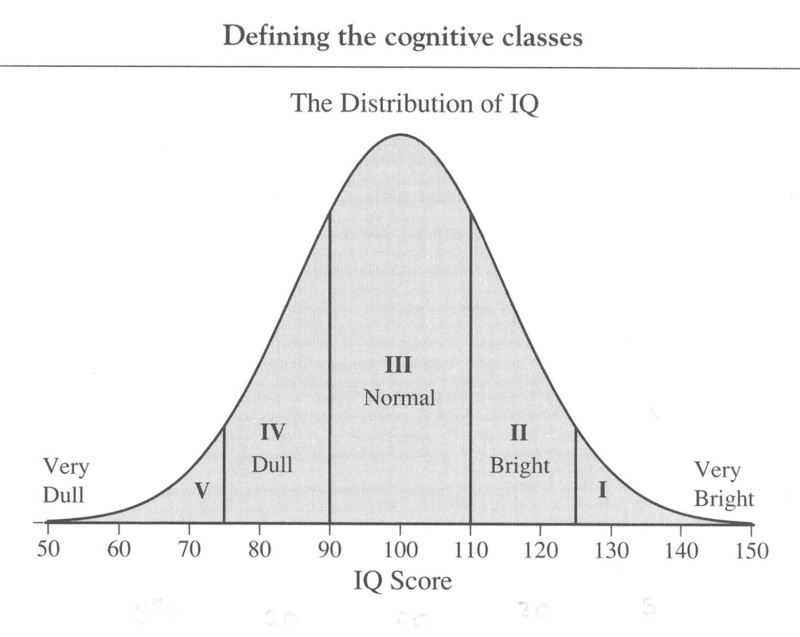 1 The Bell Curve used to measure genius and intelligence during the first half of the 20th Century.